The story of Brian Boru, High King of Ireland, plays out like the popular HBO television series Game of Thrones. 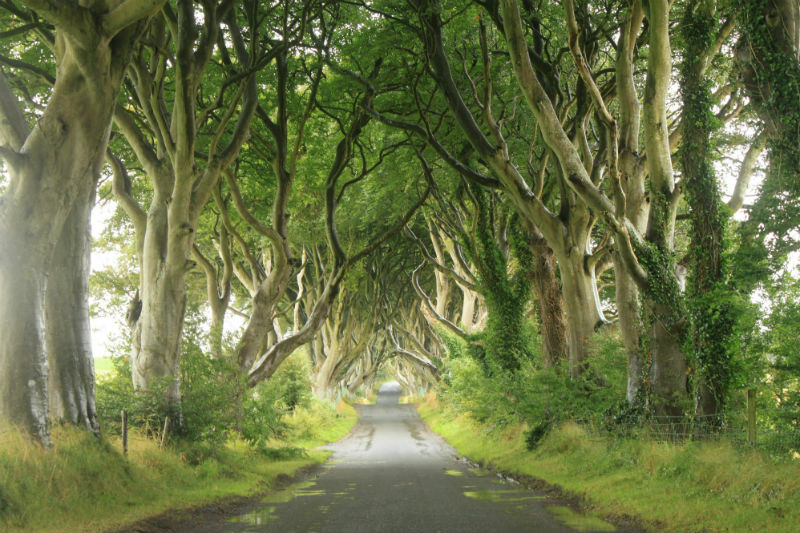 In the late tenth century, Ireland had about 500,000 inhabitants and 150 kings. 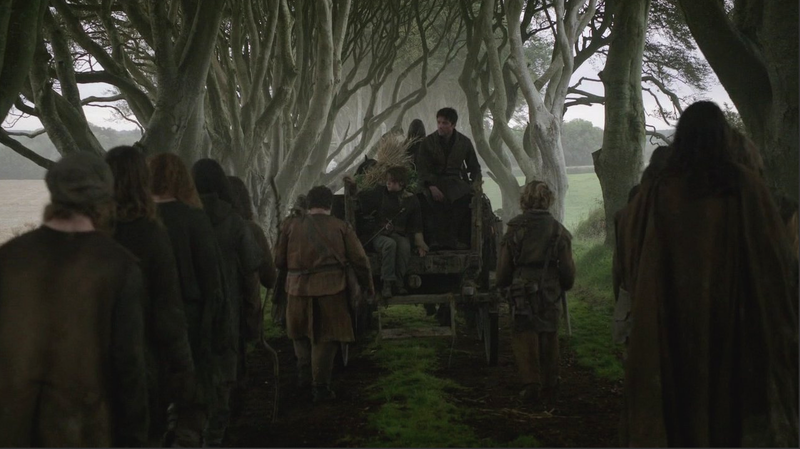 It was an old land – a land of tribes and chieftains constantly battling for power and control. No man, woman or child was spared the gruesome, bloody scenes that come with constant war. Brian Boru was one of eleven sons born to a chieftain who ruled over Thomond, a region covering most of north Munster. He died when Brian was just ten years old. 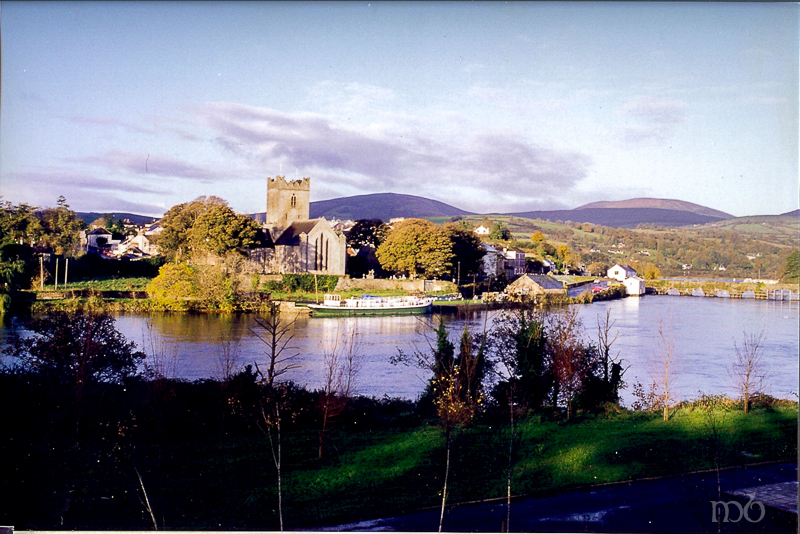 They lived in County Clare in an area now known as Killaloe, a small village on the River Shannon. Being the son of chieftain, Brian was trained as a warrior and he saw more than his share of violence, torture, injury and death. When the local clans weren’t warring, the Vikings were invading. Though Brian grew up to become a great warrior and leader, he also developed superb political skills. These skills paired with his love for Ireland pushed him to become the most successful leader of his time. At an early age, Brian was ruling Thomond. By the time he was 35 he had ascended to the royal seat of Munster, Ireland’s southwestern province. The High Kings of Munster ruled from the Rock of Cashel , but some historians believe that Brian chose to rule from Kincora, his estate in Killaloe. Brian fathered many sons with several wives, one of whom was a Viking. But as much he traveled throughout Ireland battling and politicking, his home base was always at Kincora. Today, the ramparts of his castle there are still visible in a wooded area off an unmarked path in Killaloe. As in the Game of Thrones where rulers of the seven kingdoms seek the Iron Throne, Brian Boru sought the position of High King. He achieved it when he was 61 years old. 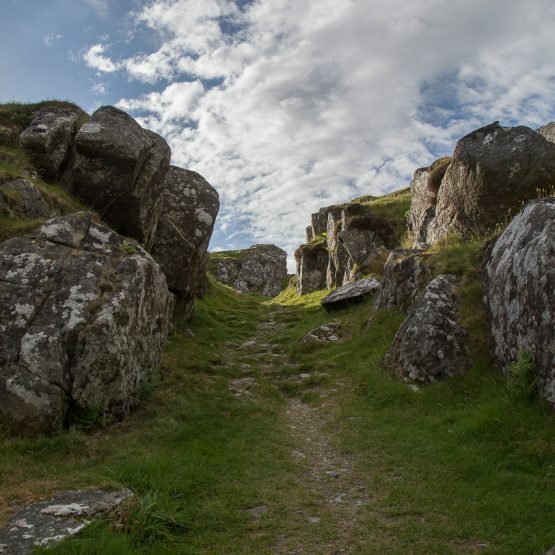 Ireland has had many High Kings, but Brian was the only High King who united the entire country for one common cause – to defeat the Norse invaders. On Good Friday, April 23, 1014, Brian Boru and his sons led an army in a battle at Clontarf near Dublin. There was great loss of life including Brian’s son and grandson, but the 73 year old High King survived. His army defeated the Vikings, driving them into the sea back to their Nordic homelands. While Brian had a few domestic enemies who ultimately joined the Vikings in battle against him, the Irish masses were behind the High King. And it was this unified spirit that enabled Brian Boru to lead the effort that expelled the Vikings for good. His political savvy, warrior strength and unrelenting determination brought Ireland to a place where the people were united, liberated and poised to grow as a nation. Brian Boru was undoubtedly the most successful king in Ireland’s history. When the Battle of Clontarf was over and the Norse were driven out into the sea, Brian Boru’s army collected its dead and tended to its wounded while the High King returned to his tent alone, to rest. At some time during the night several fleeing Norseman came upon Brian’s tent and found him alone and vulnerable. They assassinated him. 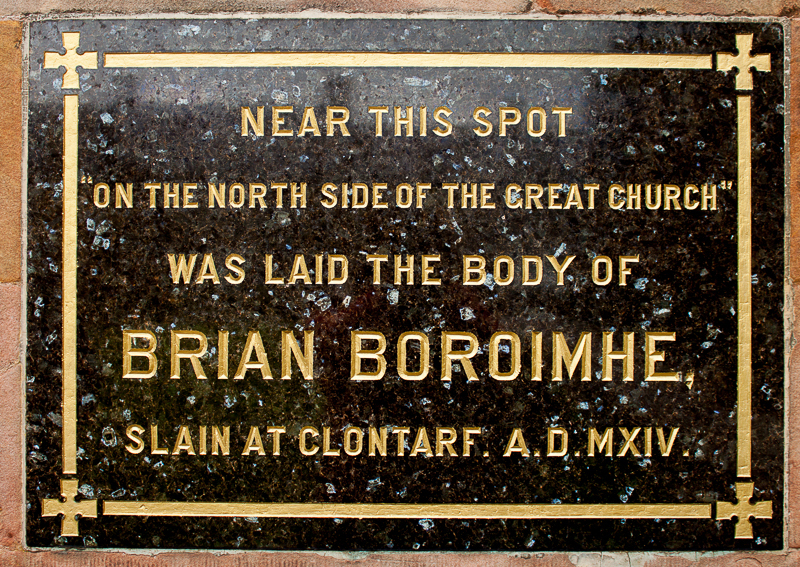 Brian Boru’s warriors carried his body from Clontarf all the way to Armagh, the Christian capital of Ireland. 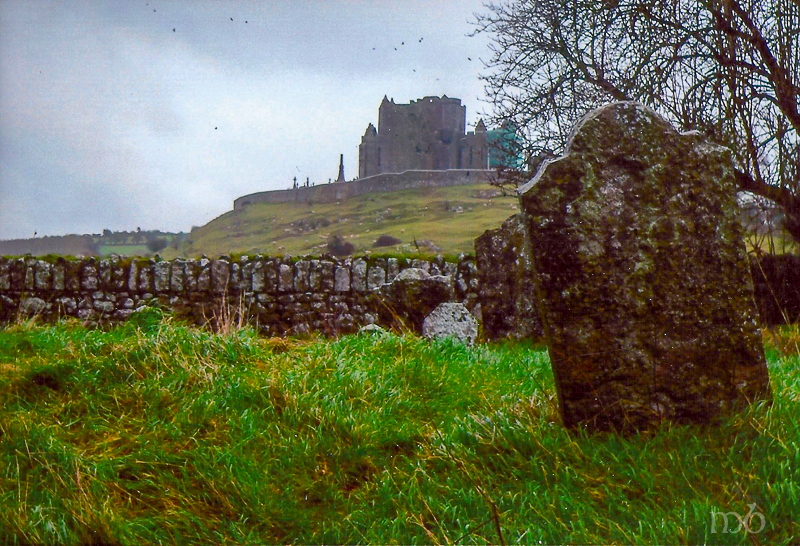 The High King was buried on the grounds of St. Patrick’s church with the bodies of his son and grandson who had died in the battle. 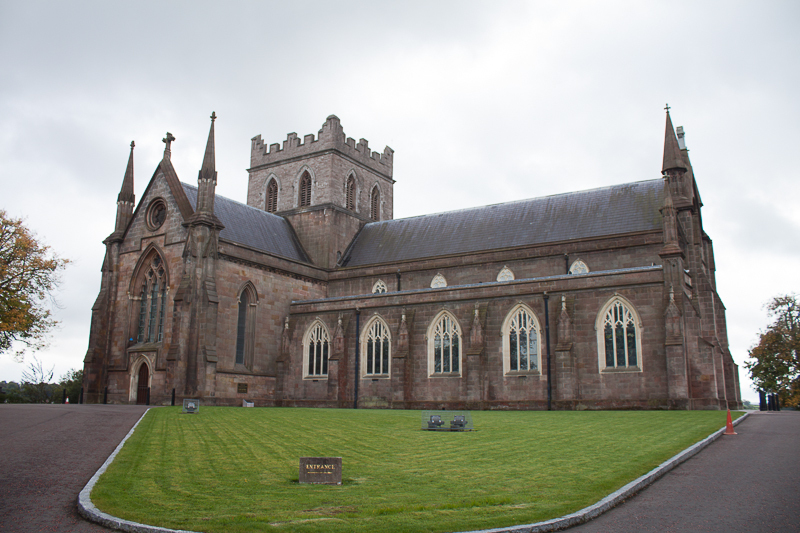 Today St. Patrick’s Cathedral stands where the old church stood. On its outside wall, a marble engraved sign reminds Cathedral visitors that Brian Boru was was laid to rest on the north side of the great church. Today – April 23rd marks the 999th anniversary of the Battle of Clontarf and Brian Boru’s death. Sadly, after Brian died the country fell back into anarchy with warring tribes and clans vying for power. That unity under Brian Boru was never achieved again by the Irish people – not until 902 years and 1 day later when on Easter Monday, April 24, 1916 the Irish started a unified rebellion that eventually won 26 of Ireland’s 32 counties independence from Great Britain. NOTE: The story of Brian Boru is beautifully told in The Lion of Ireland by Morgan Llywellyn. I highly recommend reading it before taking a trip to Ireland. It has so much history in it. When you visit knowing that history the landscape comes alive.